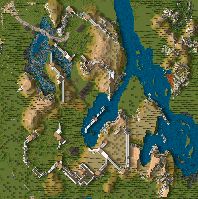 five large, sometimes impressive ruins and a little wilderness map for your purposes. Furthermore a little wilderness map. Those are some really well done maps. Ruine Rothenstein is my favourite one.